Professional answering services tailored for your business. All dealer partners that work with Acadian are given the ability to sign up for basic answering services from Acadian. 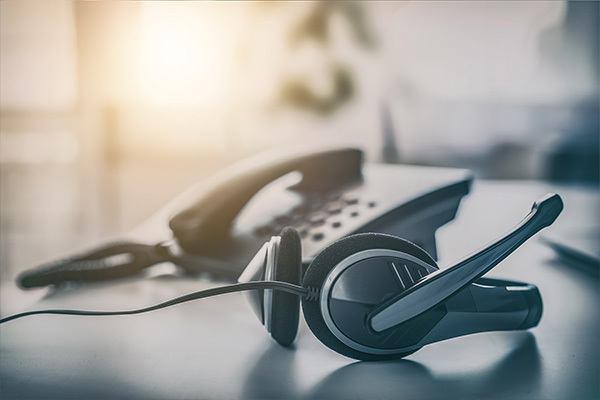 Acadian recommends that its dealer partners use a dedicated phone line provided by Acadian, however, Acadian can provide basic answering services for a dealer owned line that is forwarded to Acadian. While most dealer partners have Acadian provide answering services during lunch breaks, after working hours and on weekend, Acadian does staff up to provide these services 24/7, 7 days a week based on the needs of the dealer partner. It is important to keep in mind that it is the dealer partner’s responsibility to update their on call list and to notify Acadian if there should be any changes to their notification list. All calls are recorded and available to the dealer partner upon request. "By far the best answering service we have used"
Acadian does provide advanced answering services which is typically used for end user accounts needed after hours and weekend answering services. Through its software Acadian is capable of implementing various scripts to handle even the most advanced answering service requests. Acadian creates custom notification plans to ensure that its dealer partners or end user accounts get the notifications that they expect. These notification types include phone calls, emails and text message.